Students interested in spending the summer working on technology innovations making a difference will be inspired by University of Hawaiʻi graduate Bryan Tanaka, who spent his summer of 2017 as an intern for Booz Allen Hamilton, a business management consulting firm. During his internship, Tanaka was part of a team that built autonomous cars applying blockchain technology to secure vehicle-to-vehicle communications, as well as device-to-device communications. After completing his internship, Tanaka was hired at Booz Allen, where he has helped coach the company’s 2018 summer games teams in Honolulu and has been using technology developed by the interns in his day-to-day job. 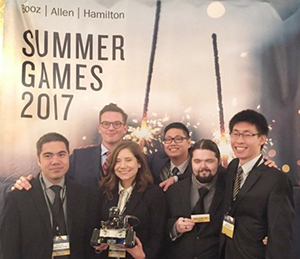 The Booz Allen summer games is an innovative internship program attracting some of the nation’s best and brightest students. This competitive and collaborative program draws thousands of applicants for several hundred slots. Interns receive mentoring by senior leaders, collaborate and experiment in an innovative ecosystem and solve problems using Booz Allen’s products and unique engagement models. Simulating a real-world startup accelerator environment, the interns are divided into teams, each working on a different challenge. 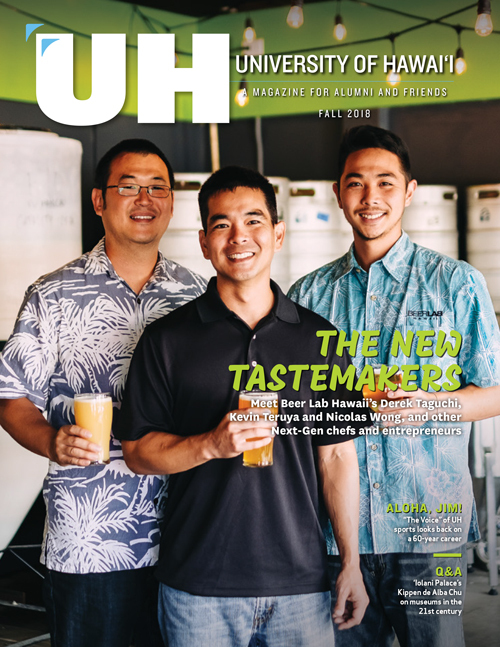 Tanaka graduated from Honolulu Community College in 2016 with an associate degree in computing, electronics and networking technology and finished at UH West Oʻahu in 2017 with a bachelor degree focused on applied science in information security and assurance. “Shout-out to both programs for providing such a great education!” said Tanaka. Throughout the 10-week Booz Allen summer games, students across the country compete to solve tough, client-focused challenges. Previous challenges have included developing a disaster evacuation model, exploring a technological solution for a mobile grocery store and harnessing data science to tackle public health issues.